I love Middle Eastern food! 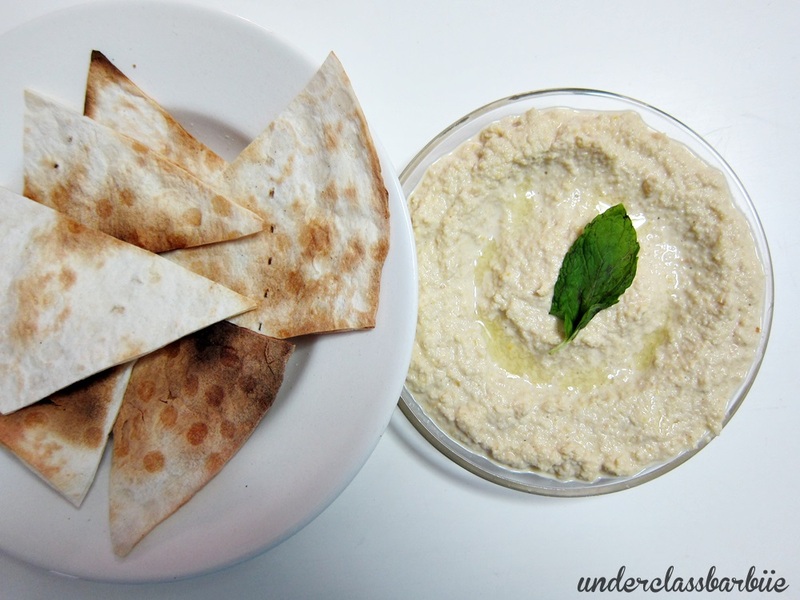 Just like how the Chinese has sauces and condiments to add flavors to their food, the Middle Easterners use this thick paste known as hummus which is so delicious and simple to make! Nothing beats having a thick spread of hummus in sharwarmas. Simply delectable! I failed miserably trying to look for canned chickpeas, so I have to settle for the dried ones. Soak the chickpeas overnight and do not discard the water. The reserved water has its purpose. Looked for this sesame seed paste everywhere. Do not bother looking for Arabian/Iranian foodstuffs in supermarkets - chances are that you will not find them. I got mine from a Iranian mini market at Casa Tropicana, and you can easily find more of these at the mini markets located at the Heritage, opposite the Mines. 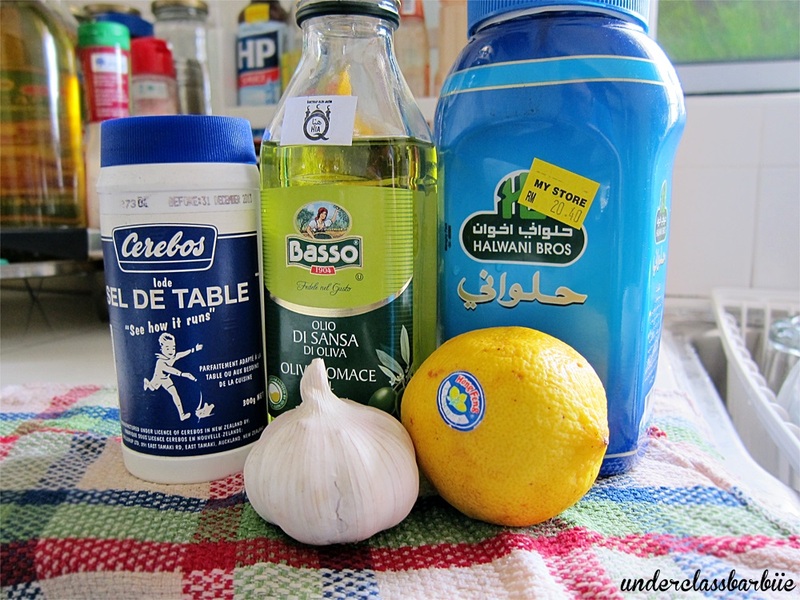 Blend everything together, except for olive oil and lemon. Gradually add in the reserved water until the desired consistency is achieved. This is how I store the hummus. Add olive oil and lemon only before consumption. I like a little coarseness in my hummus, just like how I would prefer chunky peanut butter spread over smooth. Add a quick dust of paprika for taste. Serve with warm flat breads for a quick, simple and healthy snack.